Eight clinicians from 5 disciplines is hardly a significant sample. Yet in Integrative Medicine Clinicians on Policy: Bland, Gahles, Hui, Kligler, Luck, Hudson, Gorman, Jones, the short comments from the 8 clinicians, all but one of whom are not principally involved in policy, offer a rich composite of what the integrative medicine and health community might set as a strategy were it to act as a coalition. Each was interviewed at the 2013 Integrative Healthcare Symposium which drew over 1000 clinicians. Those interviewed were Jeffrey Bland, PhD, Nancy Gahles, DC, CCH, Wendy Warner, MD, ABIHM, Ben Kligler, MD, MPH, Tori Hudson, ND, Ka-KIt Hui, MD, Susan Luck, RN, MS, CHN and David Jones, MD. The strategic elements are found in the repeated themes. One is to look beyond typical clinical boundaries into connection with families and communities. This is linked to the need to develop and create evidence of quality integrative clinical models that move us toward a strategy that is fundamentally aligned with Berwick's Triple Aim. The critical importance of generating data on cost-saving to advance access, even if not a clinician's favorite subject, is high-lighted. An opportunity to jointly work to promote the value in the non-discrimination in health care provision of the Affordable Care Act (Section 2706) is suggested as an opportunity for action now. Suggestions of two others underscore that coordinated action may be somewhat premature. They argues that community must figure out what its joint messages are and then put its weight behind some form of organizational or lobbying entity. Comment: I was struck by these patterns in this rather random sample among the 1000 potential interviewees at the 10th annual IHS event in New York, February 28-March 2, 2013. Their responses aren't a bad start for a policy strategy. The conference, with which I contributor, is affiliated with IntegrativePractitioner.com/IHS. Each are business lines of Diversified Business Communications. Interesting that a private business has become the most significant aggregator of the integrative health community. The Kansas City based Center for Practical Bioethics (CPB) has organized a multi-stakeholder project entitled the Pain Action Alliance to Initiate a National Strategy (PAINS) to "change the way pain is perceived, judged and treated." The PAINS view of pain is that people "who struggle to live with pain, especially chronic pain, (should) have access to integrative, interdisciplinary pain care consistent with their goals and values." The initiative has taken its lead from the 2011 Institute of Medicine blueprint on pain that recommends an integrated approach. A diverse set of organizations, including the multidisciplinary Academic Consortium for Complementary and Alternative Health Care (ACCAHC) and the Consortium for Academic Health Centers for Integrative Medicine were involved in developing the initiative. Martha Menard, PhD, co-chair of the ACCAHC Research Working Group sits on the steering committee. The committee's chair and the prime mover behind the effort is Myra Christopher, a former member of the IOM committee. PAINS has a policy and advocacy focus. The organization recently published its first policy brief entitled The Impact of State Policy and Regulations on Those Living with Pain. Comment: Pain treatment has been at the front edge of integrating "alternatives" since the emergence of chiropractic and more formally with the inclusion of manipulative therapies, massage, acupuncture and some mind-body in the Joint Commission's 2000 pain guidelines. The true measure of greatness for Christopher and PAINS, relative to its "integrative" model, will be whether it is able to imbed the concept of a therapeutic order into integrative treatment. Sources credit "spirited work of Alaska chiropractors" for the decision of the U.S. Indian Health Services (IHS) to keep chiropractors, acupuncturists and naturopathic doctors in the IHS loan repayment program. The inclusion allows clinicians from these fields to have some loans forgiven if IHS centers and clinics hire them with their limited resources. Data are not readily available on the extent to which practitioners from these fields are expected to find their way into these programs. In related news, a recently replenished pot of $4-million to the state of Oregon from the Center for Medicare and Medicaid Services (CMS) will re-open a state-run loan-payback program for serving rural areas in that state. However, CMS overruled that state's inclusion of naturopathic physicians in that program and rule them out of participation in using the federal funds. When the American Botanical Council recently announced 17 new members of its Advisory Board, the list was remarkable for the penetration of integrative medical doctors. Among the 17 were: UCSF integrative oncologist and former head of the Society for Integrative Oncology Donald Abrams, MD; Scripp's-based integrative cardiologist Mimi Guarneri, MD; Gary Asher, MD medical director of integrative medicine services at University of North Carolina’s Lineberger Comprehensive Cancer Support Program; Alan M. Dattner, MD, a pioneer in holistic dermatology at Albert Einstein College of Medicine; and Robert Alan Bonakdar, MD, the director of pain management at Scripps Center for Integrative Medicine. Another academic with an integrative medicine affiliation, William Morris, PhD, DAOM, LAc, president of the Academy of Oriental Medicine at Austin’s (AOMA) Graduate School of Integrative Medicine, was also among those named. Integrator adviser and and integrative center consultant Glenn Sabin has posted a perspective on the optimal naming of integrative centers. He dismisses "alternative" as a relic. Of "holistic" he writes: "It’s a whole person, 'holistic' approach we are aiming for. But for your center’s name, let’s not harken back to 1960s vernacular. Dig? Using 'holistic' in your collateral, communications, and if you have to, in your tagline, is perfectly fine. But leave it out of your brand name." In his piece, How to Improve Your Integrative Medicine Brand Identity he argues that "integrative medicine' and 'integrative health' are the most contemporary and appropriate terms for most integrative-directed providers." The work includes a link to Sabin's own list of some of the centers nationwide, using the integrative term, or offering integrative services. Columnist and consultant Christian Nix has produced a useful column for training acupuncturists and other licensed integrative health practitioners on how to work with conventional medical doctors. It's called "10 Cardinal Sins Acupuncturists Make: Learn to Interact with Mainstream Physicians the Right Way." Part tactics in interprofessional education and part marketing, Nix's guide begins with a hard fact: success in integration is more about "how you present yourself and explain what it is you do than ... clinical outcomes." He warns against spending much time explaining clinical philosophy. He throws down the gauntlet: "Reaching physicians is about asking and then shutting up and listening." Nix, author of a book called The Tao of Integration, states in his bio that he is the founder of the first hospital-based acupuncture residency in the country. Comment: The educators from the licensed "CAM" disciplines in the Academic Consortium for Complementary and Alternative Health Care (ACCAHC) developed a document entitled Competencies for Optimal Practice in Integrated Environments. The goal was not unlike Nix's. Competence in one's clinical skills is assumed. The trick is to have the cross-cultural skills to enter another nation state. These range from interprofessional communication to knowing about the language and practices of mainstream medicine. Nix's sometimes uneven 10 point list has the flavor of real world experience to serve as study material or curricular content for any "CAM" person prepping for such relationships. The Bravewell Collaborative of philanthropists in integrative medicine has announced that it will "confer its final leadership awards" to Tracy Gaudet, MD, director of the VHA Office of Patient-Centered Care and Cultural Transformation and to Myles Spar, MD, director of integrative medicine at Venice Family Clinic's Simms/Mann Health and Wellness Center. The event, announced as the Bravewell's last gala, will take place on November 7, 2013 in New York City. Mehmet Oz, MD, will master of ceremonies and Harvey Fineberg, MD, president of the Institute of Medicine, will deliver the keynote. Comment: Gaudet partnered with Andrew Weil, MD in October 1996 in the initial days of the development of the integrative medicine program at the University of Arizona before leading the Duke Integrative Medicine program funded by Bravewell president Christy Mack. She is a no-brainer as an award winner. In her present post, Gaudet is translating that integrative health and medicine background onto a much larger playing field. The selection of Spar is something of a surprise, though fun to see the integrative care leader in the nation's largest free clinic awarded. With these final award decisions, Bravewell will have honored eight men and 3 women (Gaudet, Mimi Guarneri, MD and Rachel Remen, MD) since the first award in 2003. Of these, 10 are medical doctors and one a PhD (Jon Kabat-Zinn).
. The winner(s) will be announced at the Dr. Rogers Price Colloquium and Gala in Vancouver, B.C. on September 26, 2013. Comment: Interesting that Canada has a prize of this size while the Bravewell Award, the parallel in the US, is $100,000. This differential in the amount of the philanthropic awards recalls to mind the disparate levels of Canadian and U.S. governmental contributions to promoting the movement toward fostering a transformative movement toward interprofessional education and practice (team care). Health Canada dispensed $20-million a decade ago to moive that nation's IPE agenda. Per population size, this would be similar to $200-million here. Per percent of the GNP spent on healthcare - which after all the behemoth that needs transforming - Canada's contribution would be closer to half a billion dollars here. What was the comparative U.S. grant? The U.S. Health Resources Services Administration dispensed $4-million last year to start up the National Center for Interprofessional Practice and Education. This takes nothing from the generosity of the members of the Bravewell. National priorities are different. There is less "perverse incentive" in the Canadian system, and more of the good kind. Good for the Dr. Rogers Prize. Good for the Canadians. The Institute of Medicine Global Forum on Innovation in Health Professional Education is rooted in the necessary movement out of professional silos via interprofessional practice and education (IPE). A report prepared by this writer on the second in a series of Global Forum workshops, Profound Culture Change: IOM Workshop Reveals Alignments in Interprofessional Practice and Integrative Medicine/Health, underscores parallels in this field's struggles to gain traction with the struggles in integrative health and medicine. Touchstones include financial barriers to payment for teams, clinical questions on who belongs on teams, and research challenges in examining complex interactions in a reductive environment. Meantime, each field is braced by values-based visions and commonsense beliefs that these directions are the right ones for health care. Each field is also bolstered by the excitement of students in getting out of their silos to meet practitioners from other disciplines. Comment: As an alternate member of the Global Forum on behalf of the Academic Consortium for Complementary and Alternative Health Care (ACCAHC), I from time to time suggest to one or more Forum members that the licensed practices of integrative health and medicine represent significant "innovations in health professional education" that bear examination. Odd that the familiar issues haven't bred familial engagement. The work would be advanced if the academic integrative medicine community had choosen to prioritize participating directly in the IOM forum. The American College of Preventive Medicine (ACPM) has announced that it selected Jennifer Trask, PharmD, ND to direct the National Coordinating Center for Integrative Medicine program backed by the U.S. Health Resources Services Administration (HRSA). The ACPM has dubbed its program IMPriME - Integrative Medicine in Preventive Medicine Education. Trask earned her naturopathic medicine degree from the Southwest College of Naturopathic Medicine and her doctor of pharmacy degree from the University of Colorado. Comment: It's a historic sign of integrative times that a medical specialty, ACPM, has chosen to select a naturopathic physician to head up a key initiative. The double doctorate helps for bridge builders like Trask. In an additional move to professionalize the massage field, the Alliance for Massage Therapy Education has published Core Competencies for Massage Therapy Teachers. In a release on the subject, the Alliance called the document, long in development, "the first of its kind in the massage therapy field." The document describes the "foundational knowledge, skills and attitudes needed for teachers to produce successful and consistent outcomes with adult learners in a variety of educational settings." Comment: This is another is a series of smart steps the young Alliance has taken since it became the stand-alone, not-for-profit arm of the massage field as it continues to straddle the divide between trade and profession. Serena Aubrecht, a first year naturopathic medical student at the new San Diego campus of Bastyr University is credited with leadership in creating an integrative medicine club between students at Bastyr and those at the University of California San Diego medical school. UCSD has an integrative medical program. Aubrecht's motivation is to foster relationship building and understanding that will lead to better clinical teamwork. Early steps are social gatherings such as a mixer in January, a bar night scheduled for March and future beach barbecues. The organizers anticipate creating joint volunteer projects. The article notes that the integrative medicine club "hopes to build relationships with other conventional medical (MD) and osteopathic (DO) programs and holistic health schools such as Pacific College of Oriental Medicine." Bastyr University California, the state's only accredited program in naturopathic medicine, is one of seven medical schools in southern California. Comment: This step by Aubrecht and her fellow students is one more in a series that suggests that San Diego may take inter-institutional and interprofessional relationships in integrative health and medicine to a deeper level than we have seen elsewhere. Notably, at a recent Institute of Medicine Global Forum on Innovation in Health Professional Education reported here, students are recognized as the drivers of interprofessional education (IPE) of all sorts. Attendees joked of the need for a student-led "IPE Spring" to push the prior generation into action. Happily, the administrative leaders of both Bastyr and UCSD integrative medicine seem primed for this direction. Of course, if this integrative effort proves to be extraordinary, naysayers will write it off as an outlier due to the beach barbeques. The article in the business magazine Forbes is entitled Money and Power Embraced Patient Engagement. The piece documents this movement in US medicine through the lens of big business. Noted are involvements of major foundations, quasi-public agencies, multi-billion dollar health systems, and pharmacuetical firms. These have shifted the view meaning of patient engagement at a recent conference: "Warm and fuzzy was out. Big and important was in. Health Affairs editor-in-chief Susan Dentzer set the tone by noting patient engagement has been called 'the blockbuster drug of the century. '” The leading health policy journal Health Affairs recently devoted its February 2013 issue to A New Era in Patient Engagement. The shift is attributed to the crushing economic burden of chronic disease and the critical role of patients in taking care of themselves. Comment: The integrative health and medicine fields may be viewed as part of the "warm and fuzzy" era of this movement. It remains to be seen whether the rising tide of interest in patient engagement will lift the boats of integrative health and medicine practitioners through reflecting the "secret sauces" through which the value sets and practices of these practitioners engage patients in habit change. The CHP Group, with over 20 years of experience managing a network of credentialed complementary and alternative medicine (CAM) providers, was recently recognized by Oregon Business Magazine as one of the 100 Best Companies to Work for in Oregon. The firm helps health plans and large employers to understand how to work with and cover the disciplines of chiropractic, naturopathic medicine, acupuncture, and massage therapy. President and CEO Michell Hay said of the recognition: "Employee engagement and job satisfaction are vital to our success." The firm was founded by a group of chiropractors, including current vice president and chief medical officer Chuck Simpson, DC, and includes respected leaders across those disciplines in employment and advisory roles. The American Holistic Medical Association and the American Association of Environment Medicine are joining forces to host the Gateway Medical Conference in St. Louis on April 17-21, 2013. The speakers include a who's who of clinical leaders from the two overlapping fields including Alan Gaby, MD, Hal Blatman, MD, Mimi Guarneri, MD and AHMA's current president Molly Roberts, MD. The AHMA's March newsletter featured the conference alongside a column from Roberts on unity among principally MD/DO integrative medicine organizations. Her column was based on her comments on mending the town-gown split in the Integrator. Comment: This meeting follows the 4-organization iMosaic conference hosted by these two organizations and two others in 2011. From the perspectives of both organizational cultural and budgeting - conferences can be significant revenue generators for professional organizations - such joint ventures can be risky. Yet I suspect these meetings are playing a useful role in the ability of these diverse organizational forces in integrative-holistic-environmental medicine to figure out the shared message Wendy Warner, MD, former president of another of the organizations, the American Board of Integrative Holistic Medicine, calls for in her comments on policy priorities for the integrative health community. The lead article in the February 26, 2013 e-news from the American Association of Naturopathic Physicians (AANP) begins bluntly: "Vaccination plays a critical and controversial role in public health and naturopathic history. Increasing pressure for clarity in the naturopathic perspective on this issue has revealed the glaring reality that even naturopathic policy activists are uncertain of the stance or practices of naturopathic physicians regarding vaccinations and vaccines." To "close the gap," the AANP and the Naturopathic Physicians Research Institute (NPRI) are collaborating in a survey of vaccination viewpoints and practices among a random sample of a third of AANP members. The project is expected to "help the profession's leadership to understand licensed AANP members on this unavoidable issue, guide practice improvement efforts for the profession and inform internal and external policy." The Bravewell Collaborative has announced that "in one of its final initiatives" it has directed BraveNet, its practice-based research network, to launch a new data gathering project. The effort is called PRIMIER (Patients Receiving Integrative Medicine Interventions Effectiveness Registry). According to the February 13, 2013 Bravewell newsletter, the centers will "uniformly collect patient-reported outcomes and extracted electronic health record data into a large dataset." They will use the Patient-Reported Outcomes Measurement System (PROMIS) developed by the National Institutes of Health (NIH). Bravewell anticipates that "this registry will not only deliver the desired patient outcome information, it can also be used for quality improvement, evidence-based research and the determination of best practices." Comment: Delivering a mechanism for understanding best practices in integrative medicine is a fine penultimate initiative for Bravewell. 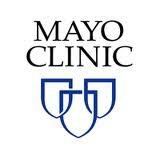 An article entitled Most cardiac patients report using alternative treatments told of a study out of Mayo clinic that found that 82.5% reported use of "CAM therapies." This was led by dietary supplements (75.4%), chiropractic therapy (31%), mind-body therapies (23.9%) and massage therapy (19.2%). For those with merely cardiac symptoms, the top treatments were relaxation, stress management, meditation and guided imagery. Only 14.4% spoke with their conventional doctors about the use. Comment: I shared the outcomes with a set of chiropractor doctor educators and researchers. The use rate of chiropractic in these patients is 3-5 times the national average. One wrote back: "Cardiac patients are usually in poor general health and older, so are not like the general population. Spine problems are related to poor general health. I would like to see the specific wording of the questions, but I doubt that all those chiro users were doing it exclusively for their cardiac problem." On the other hand, an educator responded that this finding underscores the mistake in thinking chiropractic can only be useful for people with spine-related conditions. For cardiac symptoms, the top four treatments were relaxation techniques, stress management, meditation, and guided imagery. the top four treatments were relaxation techniques, stress management, meditation, and guided imagery. Comment: The highly-regarded documentary movie Escape Fire recently shined both light and heat on the now acutely chronic problems of our medical delivery and payment practices. Now Time magazine steps in to reach its broad, silent majority of an audience with a special issue: Bitter Pill-Why Our Medical Bills Are Killing Us. MD Anderson takes the first scorching. Writer Stephen Brill dissembles a cancer patient's $83,000 hospital bill in what must been tortuous cigaratte lighter scarring to the hospital's CEO Ronald DePinho. DePinho makes a sweet $1,845,000 a year, not including 3 highly lucrative side-deals with pharmaceutical companies. The case builds that DePinho's pharmaceutical contracts are not conflicts of interest but alignments of interest. MD Anderson, a so-called not-for profit, had a $531-million operating profit in 2010. The direct assault on this cancer temple recalls to mind the Biblical story of the overturning of the tables of the money changers. Time and Brill were attempting to do just that. It is long past time to end what policy wonks have for decades attacked as the "perverse incentives" our economic offers for profit mongering on people in their times of distress and weakness. When else do we use the term "perversity" in this culture? This is terrific company for health care. This article, as Brill notes, "breaks these trillions down into real bills going to real patients and cuts through the ideological debate over health care policy." Credit Time, and Brill, for this special issue. We need a health care policy aimed, if not at burning down the money-making missions, then at least at returning health to communities, to community providers, to families, and to the people, and to finding better use for those temples. This is a call for patient engagement of the political kind. Shortly after the National Products Association ( NPA) announced that Mark Blumenthal, the founder and executive director of the American Botanical Council (ABC) would be a 2013 recipient of NPA's Industry Champion award, Blumenthal and his ABC team announced the ABC's own 2013 awards. The James A. Duke Excellence in Botanical Literature Award recipients are Medicinal Plants and the Legacy of Richard E. Schultes co-edited by Rainer W. Bussmann, PhD, and Bruce E. Ponman. Also honored, in the consumer books category is Smoke Signals: A Social History of Marijuana - Medical, Recreational, and Scientific by Martin A. Lee. The Norman R. Farnsworth Excellence in Botanical Research Award recipient is professor De-an Guo, PhD, of Shanghai, China, a researcher in traditional Chinese medicine quality control and phytochemical investigations. The Varro E. Tyler Commercial Investment in Phytomedicinal Research Award went to Swiss-based Horphag Research, the producer of Pycnogenol® French maritime pine bark extract. Finally, ABC's first Mark Blumenthal Herbal Community Builder Award will be given to Rosemary Gladstar, "the renowned herbalist, teacher, and author known to many as the Godmother of American Herbalism." The American Herbal Products Association (AHPA) has announced the following 2013 award winners for their contributions to the industry: Herbal Hero-Award to Sidney and Elan Suberg, developers of Alkemist Laboratories and significant volunteers on herb quality issues; Herbal Insight Award went to Joseph Brinckman, an activist in bio-diversity efforts; Industry Award recipient was Trout Lake Farms' Martha Jane Johnson, an early organic producer; and the Visionary Award went to Lynda LeMole, a founder of Traditional Medicinals, a former AHPA president and co-founder and executive director of Plant-Savers. Comment: In the late 1980s, I had a chance to work alongside LeMole and others on the board of AHPA in early maturation of the organiation. We created a plan for the then virtually all-volunteer organization to bring on "ED" as LeMole dubbed it: an executive director (E.D.). AHPA has become a robust and responsible industry association since Michael McGuffin took the reins and brought in the likes of former InnoVision executive Frank Lampe to work with him. Given the growth, our late 1980s guilty pleasure in using what seemed an extraordinary $400+ of AHPA resources to pay for all the volunteer board members to have a good dinner together the night before the annual meeting seems to have been money well spent. That amount was then roughly the set price for annual dues. Someone dubbed the meal "eat a member." David Eisenberg, MD, whose 1993 article on use of unconventional medicine in the New England Journal of Medicine stimulated the movement by conventional institutions to integrate "CAM" with medical delivery organizations is now an executive vice president for health research and education at the Samueli Institute. Eisenberg's work with healthy eating was featured in this Samueli Institute newsletter. Eisenberg remains affiliated with his successful and ongoing Healthy Kitchens, Healthy Lives conference, a joint venture between the Culinary Institute of America and the Harvard School of Public Health. He maintains a Harvard affiliation as an associate professor. The founder of the Institute for Functional Medicine, Jeffrey Bland, PhD, has created a new organizational center for his work: The Personalized Lifestyle Medicine Institute. His focus is on management of the chronic diseases that are responsible for 78% of healthcare expenditures, "each of which are linked to the food we eat and the decisions we all make at the plate, at the table, at the ordering counter." Bland announced this during the opening plenary of the 2013 Integrative Healthcare Symposium. Comment: Among Bland's other contributions to the integrative health field was to serve on the first board of directors of what was, in 1978, founded as the John Bastyr College of Naturopathic Medicine. One of that institution's co-founders, Joseph Pizzorno, ND, subsequently service IFM as board member and president while another, Sheila Quinn, was managing editor of the well-received Textbook of Functional Medicine. Bland's move into the "personalized medicine" space, co-habited on the high-tech and genomic side by the first Bravewell Award winner, Ralph Snyderman, MD, will be interesting to watch.